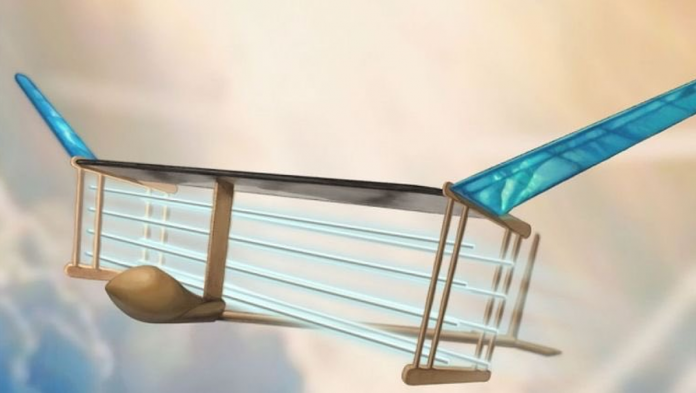 At the Massachusetts Institute of Technology (MIT), engineers have created the first plane that has no moving parts and does not use air for flight. Instead, it uses ionic wind. By ionising the air around it, the small drone-like craft can generate enough propulsion to propel itself forward and technically fly. It demonstrated a flight of 60 meters and could gain altitude as well. It is still currently extremely inefficient, but this prototype could be what our future aircraft might be built on. More details of how it works on Ars Technica. As our knowledge of science and metrology (the study of measurements) improves, so do our definitions of measurements themselves. There are a total of seven International System of Units (SI) units: kilogram, meter, second, ampere, kelvin, candela, and mole. Everything else is derived from one or a combination of the seven. Over the decades, the way these units are defined have been moving from the usage of a defining physical object to a fundamental property of the universe. All six units except the kg have already made this transition in the past. Last week, the kilogram became the last to do so. It is no longer defined as the weight of Le Grand K, the platinum-iridium cylinder in Paris. Instead, now the Planck Constant, which is exactly 6.62607015×10−34 kg⋅m2⋅s−1, is used thus defining the kilogram in terms of the second and the metre, both of which are already defined in terms of time only. The New York Times has a report. Termite mounds nearly as old as the Pyramid at Giza spread over 10 cubic kilometres had been hidden under the shrubs in Brazil for centuries. Their existence and patterns have now been confirmed by satellite imaging, making them one of the few naturally occurring bioengineering structures not built by humans that are visible from space. The mounds — each twice the height of a human — are a large network of tunnels 10 cm in diameter. This colony of mounds has expanded for over 4000 years now. More on The Big Think. For the first time, scientists and astronomers have created a visualisation of what Sagittarius A*, the giant supermassive blackhole at the center of our galaxy would look like. Black holes are singularities, where the laws of physics completely break down. Since they do not allow even for light to escape, there is no way to know what the insides of one looks like. Our advanced understanding of general relativity now has allowed us to model the chaos within. Read more on this here. There are four kingdoms of life on the planet: plants, animals, fungi, and pro-tista. All living creatures we know fall under one of these four classifications. Until last week, that is. A new discovery of two organisms and their subsequent DNA tests revealed that they are different from any other form of life we know. And so we now have a fifth kingdom of life. The organism, called Hemimastix kukwesjijk for a greedy, hairy ogre from Mi’kmaq mythology in Canada,has tendrils that it uses to attack and prey on other animals. Researchers stumbled upon it accidentally, capturing it and then breeding it. Sci News has more on it.